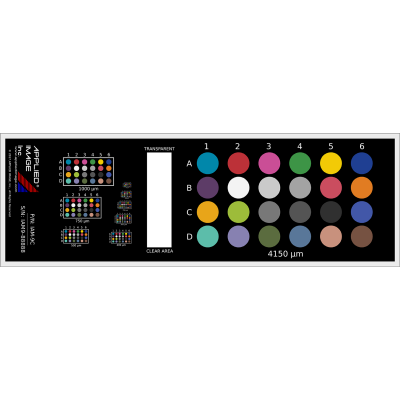 The APPLIED IMAGE series of Image Analysis and Stage micrometers are ideally suited for calibrating optical, imaging, video, and reticle-based measurement systems. Designed for ease of use and manufactured for durability, the SM Series has both English and Metric scales in one or two axis configurations. 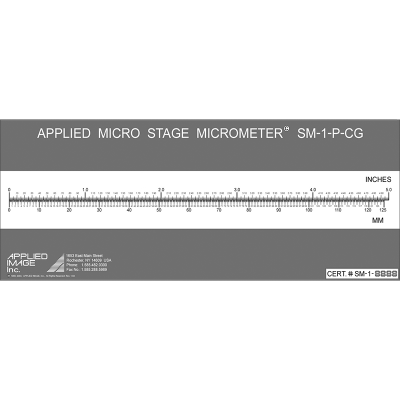 Both types of micrometers come with NIST traceable calibration standard and are available on multiples substrates in order to perfectly fit your needs. APPLIED IMAGE’s experience in the manufacturing of precision imaged optical components makes us the trusted source for standards for magnification system microscopy and vision applications. Should you need to alter feature patterns, size, or substrate, fill out our Custom Optical Components and Standards form to start the conversation.